Runt and Breeze have been sent outside the wall. The hardships they face strengthen them, and teach them about what life is like in the Overworld. Yet, there's another reason why they were sent. A secret closely guarded by the village council. Only when they finally learn the truth do they realize just how much harder their lives with become . . . The 15th installment of the Wimpy Villager series. 17,000 words, 50+ pictures. Do not read this book! This is the most boring book in the world! Inside, you will find no excitement, no danger and definitely no adventure. In fact, do not even read the rest of this description, it will only bore you and probably send you to sleep. When a Minecraftian wakes up without his memories, he struggles in this strange, new world. His first night is spent sleeping in a tree, but soon he has a shelter and a pig for a best friend. Then comes the dream. 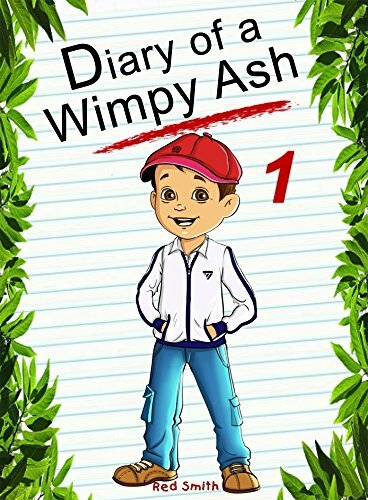 A dream which will change his life forever, and the life of Gladys the pig. A dream which will change everything! P.s. this book is not fun! This Diary has over 11,000 words with 25 pictures! Steve the warrior and Alex the archer are back. The invasion continues but this time it is a strange new Minecraft monster making all the trouble. Will building a wall help protect the village? Follow along in their adventure in this diary of a wimpy kid inspired unofficial Minecraft series. Detective Jones is on the case for the very first time, which means that she has a lot to learn. In her ten years of life, Detective Jones, or Jewels, as her parents call her, has been reading every mystery novel that she could get her hands on. Since she had only learned how to read five years ago, she hadn’t actually read much, but she had read enough to know that there was something weird going on in her village. Other Villager’s chickens were disappearing every day, and no one knows who was behind it. The local police didn’t think much of the crimes, which meant that it was up to Jewels and a couple of friends she made along the way, to solve the case. Like any mystery, there’s a decent amount of danger that comes with the job, but Jewels is up for it. She’s also up for writing it all down in her diary, The Villager Detective Diaries: Missing Chickens. Creeper in search for the mysterious Potion Brewer. Take a look inside and meet up with the main character as he faces the world he lives in, its inhabitants and the adventure that’s waiting for him. Dive into the engaging life of Creeper and experience the greatest journey ever told in The World of Cubes. Adventure awaits you! Jump in now, only if you dare! Lewis is just like any other boy – except he's half zombie. He's about to start his first day at middle school. Little does he know that he's about to get an education at the school of hard knocks, too. Pensive, reserved Lewis is not enthused when his human classmates treat him like an outcast for being half zombie. Good thing he has his loyal friend Sebastian in tow. Sebastian does his best to stick up for his buddy, but to the two friends' dismay, the human children just won't warm up to Lewis. That is, until the day the children are ushered out of the school and informed by the principal that a legion of zombies is living in the basement! After careful consideration, the school turns to Lewis to negotiate with the zombies, hoping he can persuade them to leave. Suddenly, everything is in young Lewis' hands. How will the zombies react to a half human zombie? What do they want with the school? You'll have to read Basement Blast to find out! NOTE: THERE ARE OTHER FREE BOOKS IN THIS SERIES AT THE BOTTOM OF THE PAGE! Revenge isn’t a good thing, but it could be the only thing you can think of especially when your heart is filled with anger. Mark is just a simple player who’s trying to survive the Minecaft world. When he got the chance to live in a peaceful village, strange things started happening, and eventually lead to him being kicked out from the place. Mad with the unfair treatment he got, Mark decided to have his vengeance. He became a griefer and caused so much trouble and chaos to the village. What Mark didn’t know is that there is someone out there watching his every action. And this time, it will be Mark who’s going to pay for all his wrongdoings! Who is this mysterious creature watching him? And how will he make Mark pay for what he did? After saving his village from Lucas, the creeper king who lived in the Nether, Mike has wanted nothing more than to unwind at home. Turning down the chance to be mayor, he works on collecting books and forming a library. However, his best friend, David, isn’t as content to settle down. Still yearning for adventure, he believes that all legends can be true – he just has to find the right one. When David discovers that there might be another city underneath the Sun City, he is excited to go explore. Even though Mike just wants to relax, he doesn’t want his best friend to run into any danger without some help. Together, the friends head towards the Sun City. But Mike quickly discovers there might be more truth to this legend than the other ones that David had dragged him along to explore. With the king possibly not being the man they thought he was, and the appearance of a strange girl, the friends quickly find themselves in over their heads. Things aren't looking good for Noob Steve. After his house is destroyed by mysterious fires that have been occurring, he finds himself in more hot water after saving the general's daughter, Jillian, from harm's way. Good natured, adventure loving Steve and studious, responsible Jillian become fast friends and embark on an underground adventure. However, Noob Steve and Jillian may have bitten off more than they can chew, because they have stumbled upon the real cause of the recent mysterious fires and it is now up to them to set things right. With the help of a talking Enderman, Steve and Jillian are about to have the biggest adventure of their lives. What is causing the mysterious fires? Can Steve and Jillian save the day in time? Only time will tell when you read Mysterious Fires. A fantastic read for the whole family, Mysterious Fires is full of page turning adventure and charming illustrations. This book is sure to engage any child, even those adverse to reading! Mike has been living quietly in his creeper village. Currently working as a trader, far away from the king and his court, he has put the events of Lucas the Creeper King and the Moon City behind him. Or so he thought. Adventure seems to be knocking on his door once again. When Mike’s creeper friend, Alex, goes missing, he sets out to find him. Yet a sudden storm changes everything and sets him on a new quest. Dealing with water temples, a missing friend, and a legend about a mysterious figure that once caused a civil war, Mike finds himself trying to stop the danger before it threatens to take control of the Overworld. Will he be successful or is it too late to save Alex and the world? Ash is a lot of things.... weak, frail, wimpish, feeble, soft, cowardly, and more than anything... he's a Trainer who can't catch. So naturally, he became known as a wimp. His Friends stayed away from him. His Neighbors don't want to be seen near him. Ash just wants to be left alone. But what was the most awful thing about his journey to becoming a Great Trainer? Scott Tenorman. He might describe himself as an anti-wimp, but that would be an understatement. He caused Ash Huge amounts of PAIN. When his dad who is a Legendary Trainer finally decided to pay Ash a visit, Ash finally had a way of transforming himself into a Master Trainer. Becoming a Master isn't easy. It means a lot of Training and Studying catching Techniques and Strategies harder than ever before! Can Ash transform himself into a Great Trainer before his dad leaves for good - and finally stand up to Scott himself? Minecraft! Minecraft! Minecraft! That’s all Rino James ever thinks about. That, and his PlayStation. But when he’s not gaming, he’s working hard to get good grades so he can make it into the unreal PlayStation club at school. How many schools get to have a PlayStation club? The problem is, his Mom and Dad have a built in Siri message system to detonate disaster every time things are looking awesome for him. When best mate, Matthew, announces an all-night, super slayer, smash up gaming party, Rino can’t wait for the weekend. That’s until something disastrous happens to turn his weekend into a boring, miserable, not to mention soggy, scrabble marathon with his mind-numbing sister. 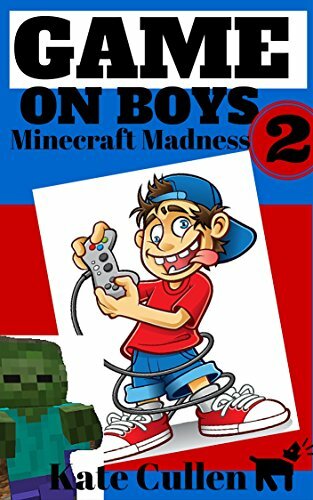 ‘Game on Boys 2 : Minecraft Madness’ is for boys and girls who love playing Minecraft and other computer games, and who love reading books like Diary of a Wimpy Kid. Be prepared for lots of side splitting laughter, but don’t be surprised if you shed the odd tear as well. Brace yourselves as your world gets filled with lots of fun and excitement as you join Carl the Creeper in his quest to find his family! Being alone in a world where everybody has friends and family is one of the worst things that could ever happen to someone. This is exactly what Carl the Minecraft Creeper is going through right now. He never had a family, or a friend. The worst thing is, everyone in his place seemed to have not liked him either. What if, there’s something Carl could do to get himself a family? It surely wouldn’t be an easy mission. But, is Carl brave enough to take the risks? And is he willing enough to do anything he needs to do to get his wish granted? What are the adventures that await him? This story about friendship, family and adventure is brought to you by Mark Mulle, one of Amazon’s best-selling authors. 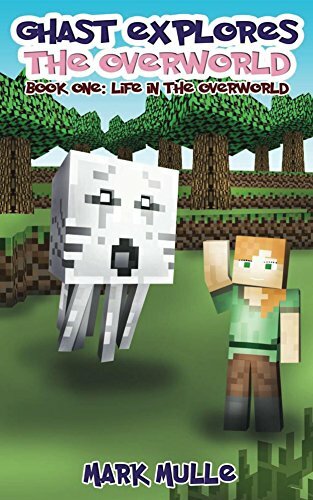 Grab this Minecraft book now and enter the enchanting world of Minecraft® with Carl and the rest of the gang! 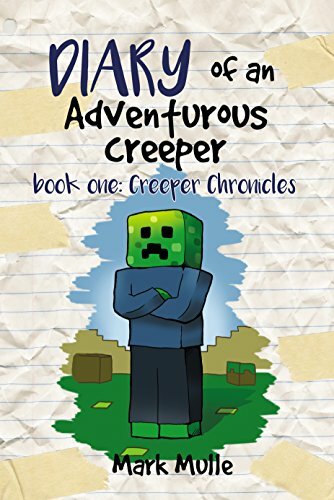 Creeper Chronicles is a story that follows the budding of friendships and explores the rewards of courage, honesty and perseverance. 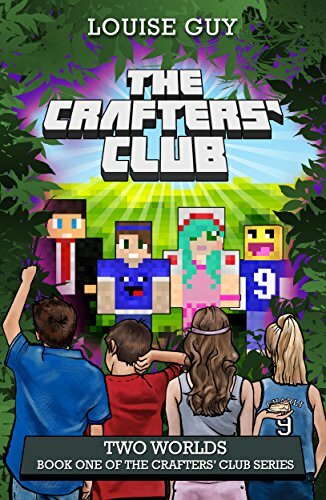 Finding a real-life portal provides Crafters' Club members, JJ, Jamie, Charli and Annie a doorway into the world of their favorite video game, Minecraft. Propelled by the portal into a Minecraft map, a thrilling, heart-racing adventure unfolds. Survival is their utmost priority as they learn to craft supplies, stay safe from mobs and exist in a foreign land. Will teamwork, friendship and courage be enough to ultimately guide them home? Two Worlds is the first book in The Crafters' Club Series. Whatever you can imagine you can build in Minecraft! 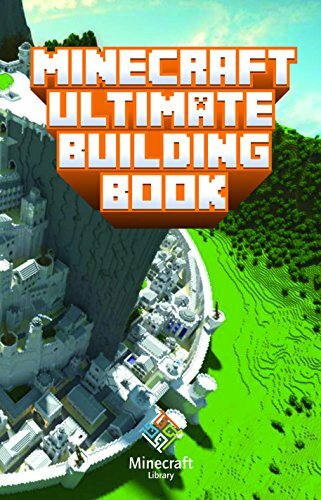 This Minecraft ULTIMATE Building Ideas book designed to unlock your creative abilities, show most exciting possibilities and guide you through. * Interior and exterior. * From Tree Houses to Gorgeous Mansions. * From Aircraft to Monumental Cities. * From Pirate Galleons to Spaceships! All-in-one building ideas guide, 2014. 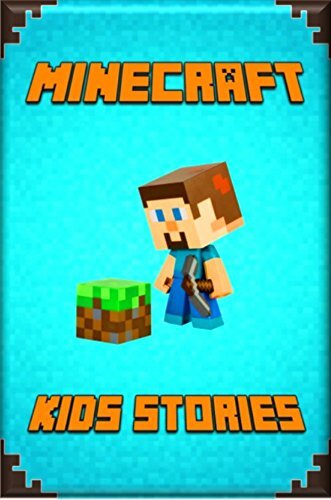 Minecraft Kids Stories: Amusing Minecraft Stories for Kids from Famous Children Authors. 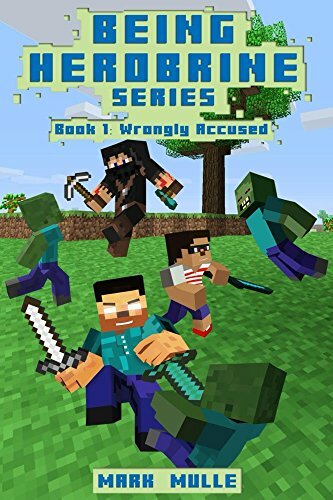 Marvelous Collection of Amusing Minecraft Short stories specially for Young Minecrafters! Steve meets Alex Steve has lived in Minecraft by himself for a long time, but something new is about to happen. A stranger appears out of the woods. Numbers start popping up in the sky. What does it all mean for Steve? 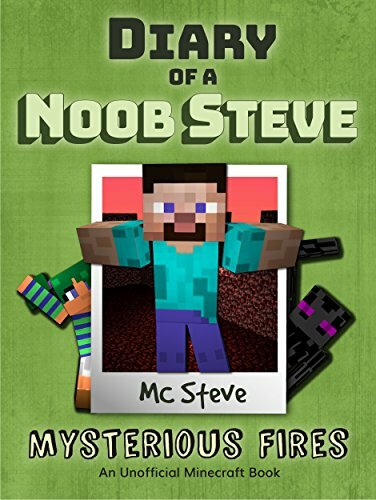 There is only one way to find out, join Alex and Steve in Minecraft! 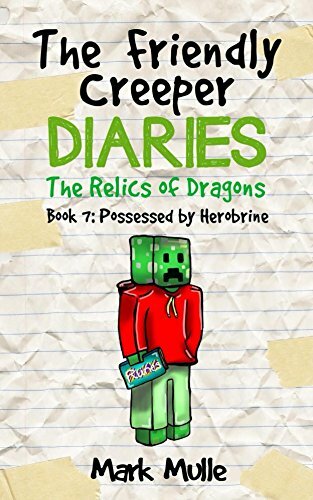 Alex versus the Ender Dragon Alex is living near a friendly trading village when strange things start happening. She decides it’s best to move into the village for strength in numbers when something appears near the edge of town. Alex has to face off against the mighty Ender Dragon. Will she win? Find out in Alex versus the Ender Dragon! The Troller Stonemann has finished his world and is inviting friends to join in and play but someone gets invited that wasn’t meant to. Stonemann’s house is in danger, his world at the hands of a troller. Will he figure out who it is that is trolling and end the destruction of his world? Join him in Minecraft and find out! The Aftermath of Herobrine Alex has saved the villagers from Herobrine… Or so she thought. He as returned and he is angry. An Ender Dragon is summoned in the village. Alex has to defend her home once again. Will she be able to take Herobrine and an Ender Dragon? We will find out in the story! Stopping the Raiding Irongurl How do you deal with a faction raider? Report to the admin? Josh was going to find out. His peaceful faction was gathering iron, gold, coal and such when a nearby faction attacked! Josh lost his entire stash and sets out to get it back. With the help of a friend and his faction Josh teaches a raider a hard lesson. Alex explores The Nether Bat keeping wither skeletons, village trapping endermen, and a floating village. Alex didn’t know what to expect when she entered the nether. Will she free the enslaved villagers? Will she perish against the Enderman King? Only one way to find out! Getting started in the New World Alex is excited and ready to build and mine. As she digs deeper and deeper, surprises wait around every corner in the depths of the earth. Alex must face zombie attacks and waves of creepers. Will she survive them or will she be turned into one of them? The Mansion of Steve As Steve makes a new home in Minecraft a ghost starts appearing. Who is the strange ghost and why is it haunting Steve? As the ghost returns it reveals that it is known throughout all of Minecraft and feared. Will Steve be able to stop the ghost? Read all about it and find out! Herobrine Returns Alex moved into Minecraft and comes across a village. While there a voice calls to her from the wind and she is curious to figure out who it is. The local village elder tells her to be careful since a Minecraft myth lived here for a while. Will Alex rid herself of this ghost? Will the villagers be safe? 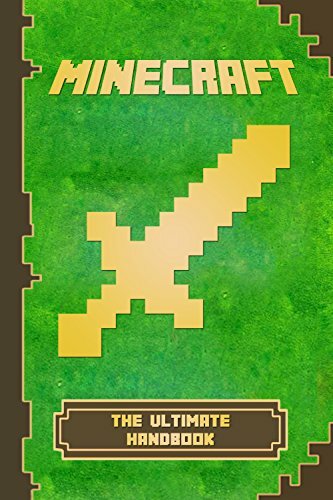 Minecraft: Ultimate Handbook: The Ultimate Minecraft Handbook. Minecraft Game Tips & Tricks, Hints and Secrets. You will learn not just how to play the game, but how to master it! It’ll take you through your terrifying first night. In this book, experts will guide you by the hand and teach you everything that you want to know. Become a pro in Minecraft! Master your game right now! You'll be playing like a pro in no time! 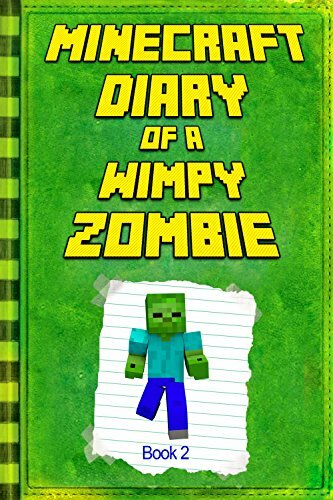 Minecraft Diary of a Wimpy Zombie: In the Cave of the Ancients Did you think Urgel’s adventures were over when he got to the cave? 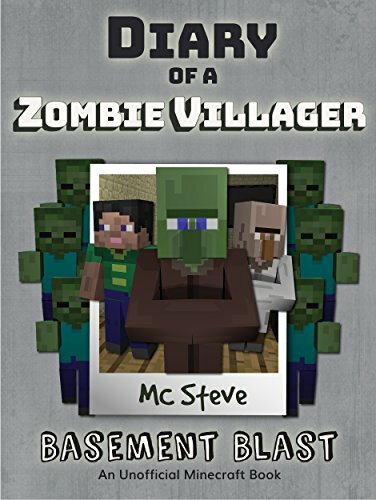 This unbelievable little Zombie in the Minecraft universe is one of the chosen ones and his story is a long one. The Diary of Wimpy Zombie: In The Cave of the Ancients picks up where we left our little hero. Join Urgel as he uncovers the mysteries of the Ancient cave and uncovers what the Zombies believe in. 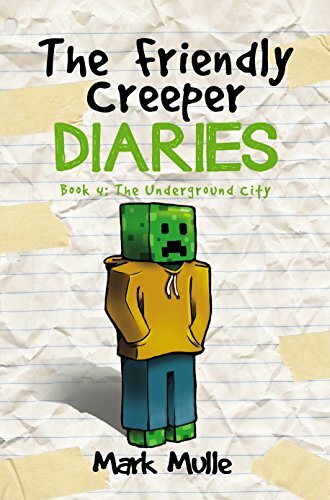 The latest installment of Minecraft Diary of a Wimpy Zombie: In the Cave of the Ancients will give you another unique at the untold life of Zombies and have you wanting to know more about their amazing lives in Minecraft.